Call Rick if you need a private investigator. We needed someone to find out what was going on with our children while at their mother’s house, and the information that Rick found for us made a huge difference in our custody case. I recently hired Aragon Investigations and I must say I was impressed with Rick’s attentive manner, professionalism and swiftness in providing the information I needed. For anyone who finds a need for a PI, use this business! Rick was fantastic!! Very professional, detailed and extremely timely. I highly recommend Aragon for any of your Private Investigation needs. Thanks Rick! Aragon Investigations, LLC is a Veteran-Owned, full service, professional private investigation agency. We provide confidential investigations to individuals, businesses, attorneys and insurance professionals throughout the Phoenix-Metro area and the State of Arizona. Call (602) 300-5667 for a free consultation. Our services are tailored to fit our client’s needs while providing the stellar service they deserve. Our purpose is to provide our clients the most comprehensive investigative results. We enjoy helping our clients get the answers they deserve. Every case we take on is unique, often like solving a puzzle, and this gives us the motivation to get the facts necessary for a successful outcome. Established in 2010, Aragon Investigations, LLC has successfully resolved cases to the satisfaction of our clients for nearly a decade. 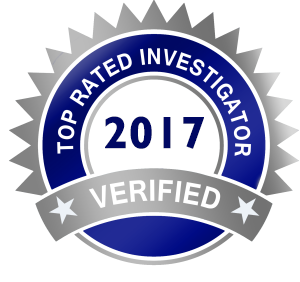 We offer both male and female private investigators who are highly trained, experienced, and licensed by the state to ensure the best results possible for your investigation.